Scared of a Root Canal Therapy? Many people have the mistaken notion that root canal therapy/treatment is painful. Nothing can be further from the truth! At Sharon Dental, we can do many things to ensure you are comfortable during your root canal procedure. During the treatment, the area around the tooth is frozen. Some patients may opt to use nitrous oxide, or listen to music to help them relax. Antibiotics may be used to help us control the infection. In most cases you can’t see or feel any difference in a tooth that has had a root canal treatment. 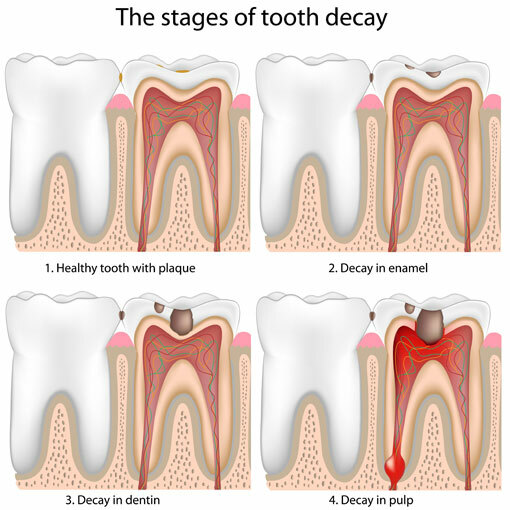 How does the inside of a tooth get infected? When plaque forms on the surface of your teeth continually the bacteria in the plaque comes in contact with sugar or starches from our food and it forms acid. The acid begins to dissolve the tooth enamel, creating holes called cavities that if left unchecked reach the nerve of the tooth. Once the infection is inside of the tooth, the only way to prevent the tooth from being lost is a root canal. Dr. Paul Elliot, will usually recommend a dental crown after your root canal treatment to strengthen and protect the treated tooth. Root canal treatment costs depend on how many “roots” need to be cleaned. Back teeth have more roots than front teeth. Give us a call today to book a dental appointment so that we can assess your particular needs.